Tis the Season for Leaf Peeping! 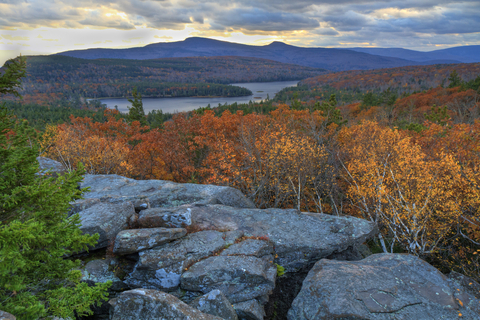 As foliage peaks throughout New England, fall is one of the nicest times to hike during the year. The bright colors of fall leaves offset and highlight many of New England’s bird variety’s plumage, and it makes them easier to spot. Plus they make lovely photographs, the vibrant color of gold finches backset by deep crimson maple leaves is truly both a birdwatchers, and a photographers perfect setting for example. Fall also offers cooler weather for hikes with many of the insect pests that torment hikers during the spring and summer dying off or going into hibernation. 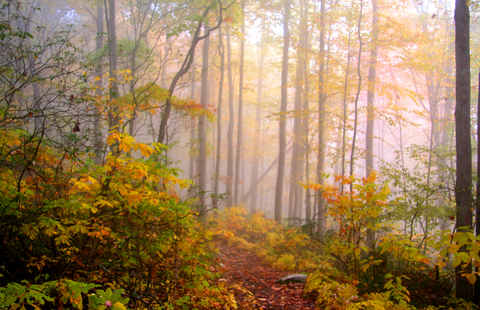 If you are staying at the inn and looking to explore some new areas for some fall hikes, whether to leaf peep or simply to get out and enjoy the outdoors, check out some of these local spots. The Sharon Audubon Center covers 1,147 acres of primarily forest. It includes 11 miles of trails and two ponds. 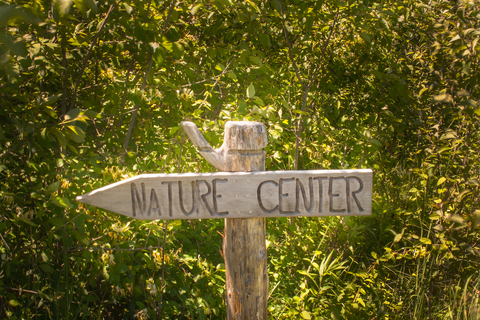 Visitors are welcome to walk the Pond Loop Trail at the Audubon Sharon Miles Wildlife Sanctuary which is open daily from sunrise to sunset. 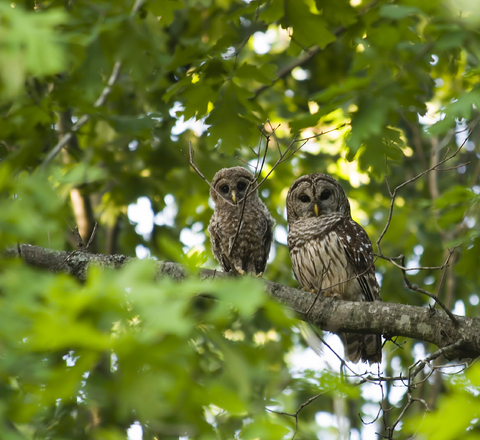 Hikers can observe a wide variety of birds and wildlife including many migratory birds. The two ponds also offer an additional habitat in which beavers and river otters can be found. The main Visitor Center houses a small natural history museum, a nature store, and the Children’s Adventure Center. The surrounding grounds include Raptor Aviaries, an Herb Garden, the Eleanor Loft Bird & Butterfly Garden, and a working sugarhouse which was formerly an ice house. This 641 acres sanctuary offers a diverse habit including old farm fields, open grasslands, wooded lots with mature and second growth tree stands and marshy woodlands. Old rail beds on the west side follow Wappinger Creek where hikers can view raptors, song birds and many wetlands birds like Wood Ducks and Great Blue Herons. A scenic overlook offers hikers a breathtaking view of Stissing Mountain and the lands below in the valley. There are six miles of trails and interpretive trail signs and brochures are available along the hike for more information about the sanctuary. This 238-acre parcel is also commonly known as “Meeker Swamp.” The land, a mix of meadow, wooded space, farmland and wetlands. This area of unspoiled land sits adjacent to four other parcels of land, and includes a pinnacle overlook above Lake Waramaug. With the adjacent land which was donated previously to the preserve, the total hiking area available covers over 368 acres. The 98 acres of wetlands, includes the start of Bee Brook, which is a major tributary of the Shepaug River. In 2006 the Washington Garden Club completed an interpretive trail along a portion of the trail. Signposts mark spots of unique ecosystems along the trail, each of which is described in a printed trail guide, a viewing platform was also built at the edge of the open water of Meeker Swamp, down a short trail off the northeast corner of preserve. Rheinstrom Hill is a 1,037 acre sanctuary located in the southeastern corner of Columbia County. There are approximately 4 miles of trails for birders and other nature enthusiasts to enjoy daily from dawn to dusk. The Sanctuary is a wonderful place to go birding, it provides a habitat for many climate-threatened bird species like the Scarlet Tanager and Rose-breasted Grosbeak, and others whose natural habitats are at risk. You may also encounter white tailed deer and the sanctuary shelters coyotes, bobcats and black bears, but those species are shy of hikers and are rarely encountered. With the onset of spring, the spring birds are starting to appear! Spring is a great time for birding walks, as birds are most active in the spring and fall, and in some cases more colorful as well! Many different species find homes here because the region has such a variety of habitats from fields, to mountains to woodlands, as well as marshes, springs and lake areas. Almost two hundred species of birds live and breed in the Hudson Valley area, and numerous others migrate through on the eastern migration flyway which runs through the valley. Identifying birds is a four step process. First, judge the bird’s size and shape, Second, look for its predominant color pattern and any markings it may have. Third, take note of its behavior: how it flys for example, does it swoop up and down? soar on the wind? land on a branch from above or fly up to it from below, and factor in what habitat it’s in. Identifying these details can more accurately find what type and species of bird it may be. Remember because the Hudson Valley is on the eastern migration flyway you may catch a glimpse of a rare migratory bird passing through. A few tips to remember when you go birding, if you find baby birds on the ground, the first temptation is to pick them up and try to replace them in a nest if it’s reachable. It is a good rule of thumb to wear gloves (preferably plastic) if doing this for several reasons. One, birds do carry mites and harbor other bacteria, and some bird species will not re-accept a baby bird if it smells like a human being. Immature birds just learning to fly may be also be on their first flights, and have a parent close by watching (which you may not be able to see). Sharon Audubon has a nice list of dos and don’ts as well to keep in mind on your birding walks. All you need for bird watching is a good bird field guide and a set of binoculars. To make your hike more interesting, bring a camera (or smart phone) and a journal, you never know what you might come across that you may want to take a picture of, or to draw a quick sketch of. Many field guides are now also available as smartphone apps. Audubon Birds, A Field Guide to North American Birds and BirdsEye Bird Finding Guide. 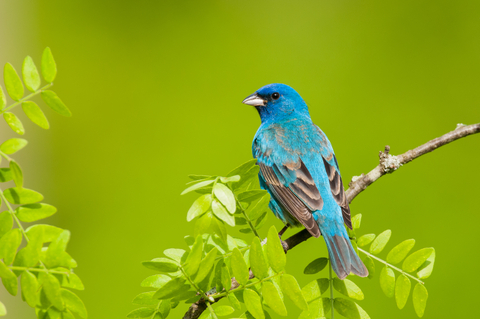 A terrific resource of where to go birding locally in the Hudson Valley can be found here. Some upcoming events of interest locally this weekend to come check out! On-going guided 45-minute tours will lead visitors through the Center’s sugaring operation, including a working sugarhouse and a re-creation of Native American and early colonial sugaring methods. Participants can watch as pure sugar maple sap is collected from the trees and turned into delicious maple syrup. Fresh syrup will be available for purchase while supplies last. Admission for the event is $6.00 adults and $4.00 children (2 and under free.) Wear warm clothes and boots, as much of the tour is outdoors. Visit Sharon Audubon for more information. Visit Crown Maple at Madava for more information.